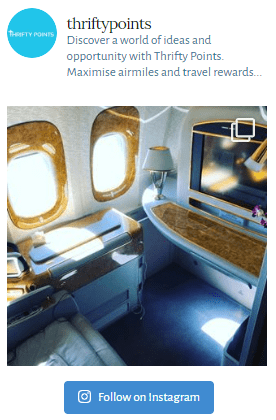 This article forms part of my series on credit cards which allow you to earn air miles for various frequent-flyer schemes. Today we’ll be looking at the benefits of the Air France credit card and comparing it against credit cards available to UK residents. With an exceptional First Class (service, food and drink) product, Air France facilitates premium rewards redemptions that are head and shoulders above both British Airways and Virgin Atlantic. I happen to know that a considerable number of readers choose to flyer Air France or KLM for work due to the superior product and often cheaper pricing. Fortunately for the 0.9% of readers who live in France (and 2.3% in Holland and Switzerland) there is a branded Air France credit card available. The bad news for everyone else is that it’s only available to residents of these three countries. HOWEVER all is not lost, with a couple of UK credit cards allowing you to earn Air France miles. Before we take a look at possible alternative Air France credit cards let’s take a look at the various benefits offered by the current cards to see if UK residents are actually receiving better value by not being able to sign up to the Air France credit card! There are some exciting changes going on in the UK frequent-flyer industry. About a month ago the EU granted permission for the transatlantic joint venture between Virgin Atlantic, KML, Delta and importantly Air France. With just US regulatory approval to obtain (no easy task) it is envisaged that at some point in the not too distant future you’ll be able to redeem Virgin Atlantic Flying Club miles on Air France and KML flights… This will clearly open up significant opportunities to earn redeemable points on UK credit cards that can be used across all 4 airlines. With this in mind you may find our recent article on the best credit cards for earning Virgin Atlantic Flying Club points interesting. As we’ve seen with both of the Air France American Express cards above, unfortunately some credit cards come with annual fees. Let’s take a look at both the free and premium options available to UK resident. With 12 airline reward partners, American Express Membership Rewards offers an excellent opportunity to earn points which can then be transferred to your chosen frequent-flyer programme. Currently the best free card offered to UK residents is the American Express Gold card which comes with a sign-up bonus of 20,000 points and an ongoing earnings rate of 1 point for every £1 spent. Each reward point can be transferred across to Air France and Flying Blue at a rate of 1:1. You’ll also receive two complimentary airport lounge passes. The sign-up bonus can be increased to 22,000 using this referral link. The premium alternative Air France credit card comes with a staggering annual fee of £450 pa – introducing the American Express Platinum card. If you’re purely looking for a card for earning Air France miles and don’t care about other benefits then this card is unlikely going to be for you. With the (free for the first year) American Express Gold card offering a sign-up bonus of nearly 10 times its continental equivalent branded version, this highlights just how generous the current deal offered by American Express is. With the ability to not only transfer to Air France but also 11 other airlines, we feel that the flexibility offered by Membership Rewards points makes this card a no-brainer as an alternative Air France Credit Card UK. Don’t forget you can increase the sign-up bonus from 20,000 to 22,000 points by using this link. We love to hear your thoughts so please do reach out below if you have any questions or comments….